The P90 is the perfect choice for live gaming enthusiasts and Battlefield LIVE operators as every feature of this gaming gun is designed to get a gamer on target and immersed into the game fast. This is SPECIAL weapon class, known as a Personal Defence Weapon (PDW). 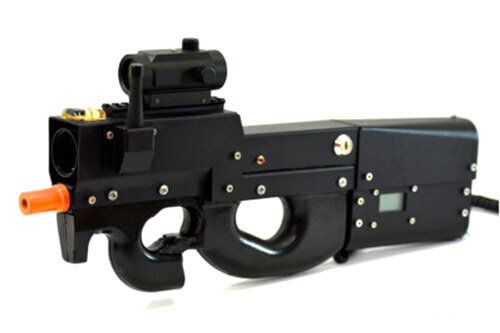 The P90 is also great for re-enactments, especially for sci-fi stories like StarGate SG1 and for Zombie attractions.